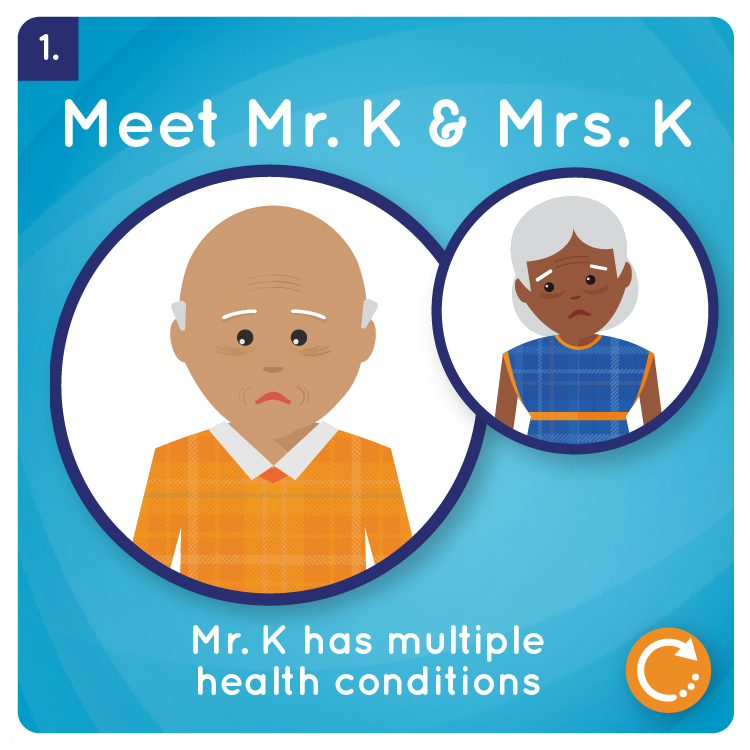 How does Patient Priorities Care work for Mr. & Mrs. K? 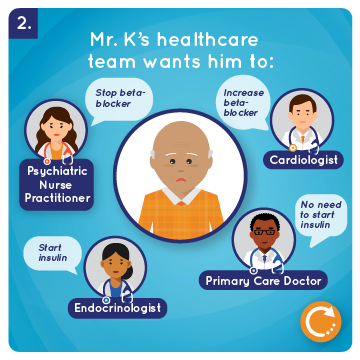 How Does Patient Priorities Care Work? 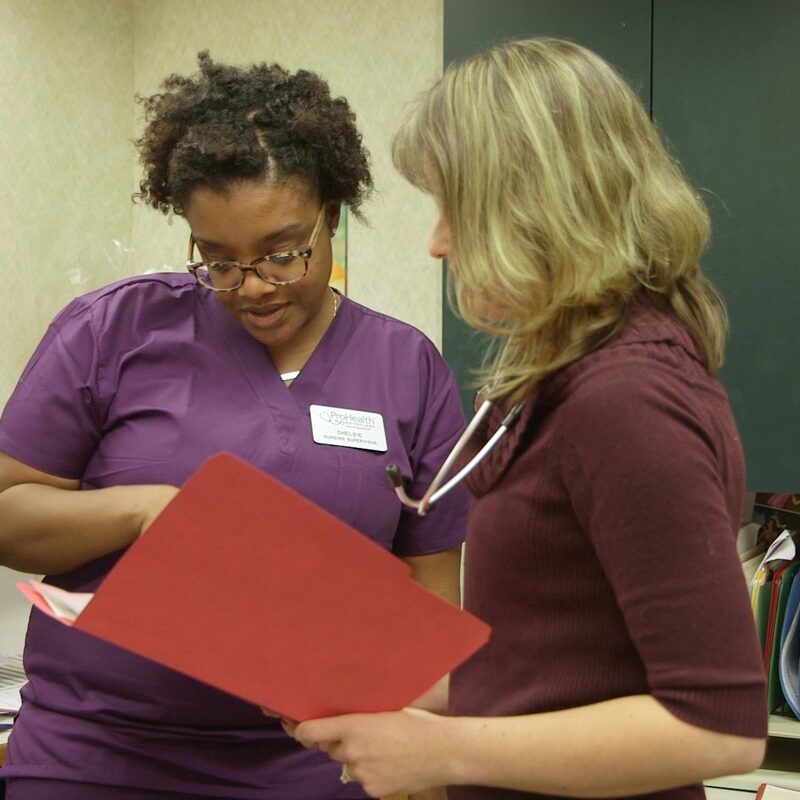 Patient Priorities Care aligns care among all clinicians with what matters most to their patients. 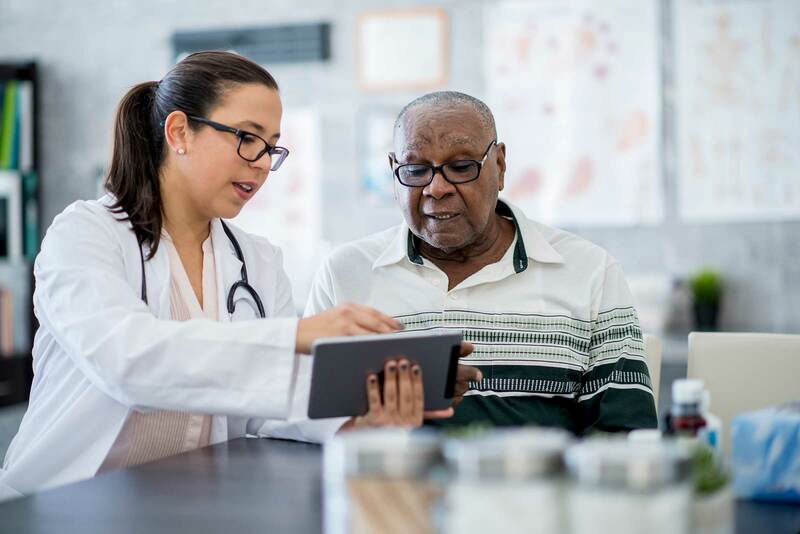 It recognizes that patients are the experts in what they want to achieve from their healthcare, while clinicians are the experts in how to get them there. 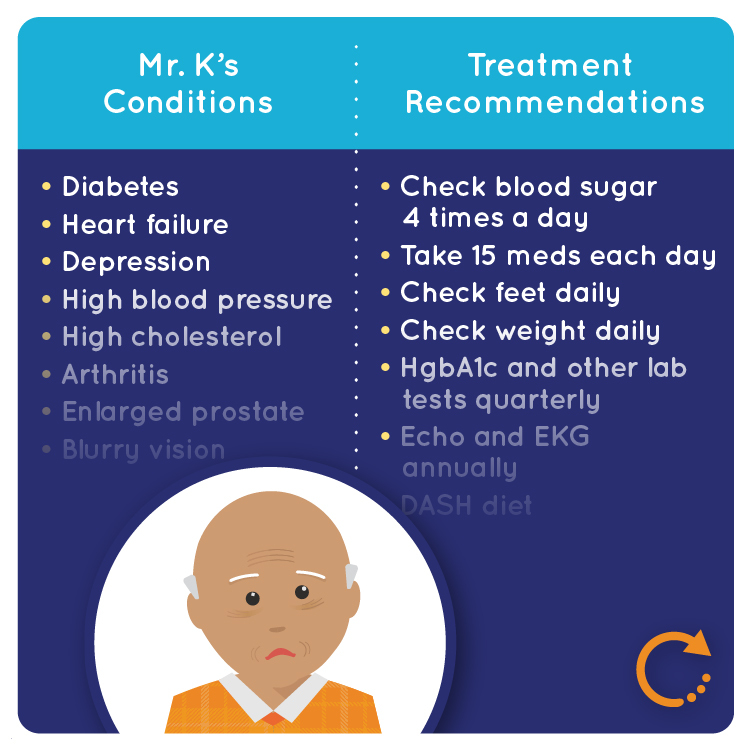 Patient Priorities Care helps patients and clinicians focus all decision-making and healthcare on what matters most: patients’ own health priorities. 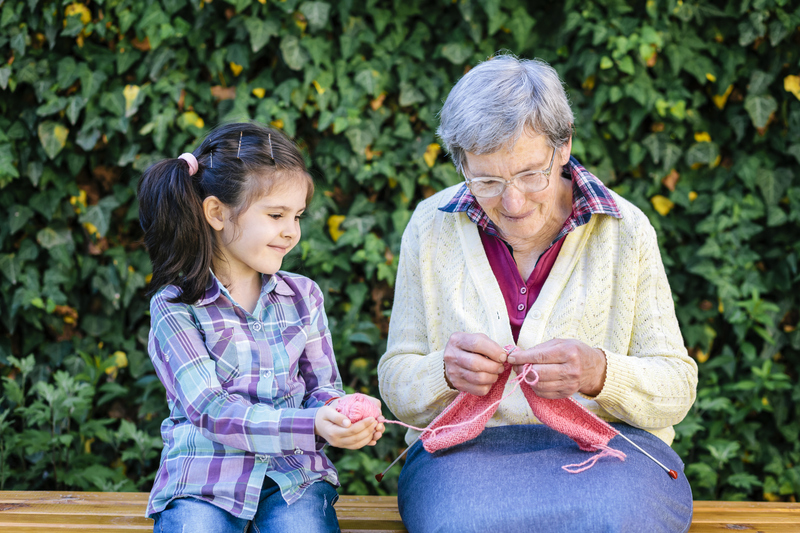 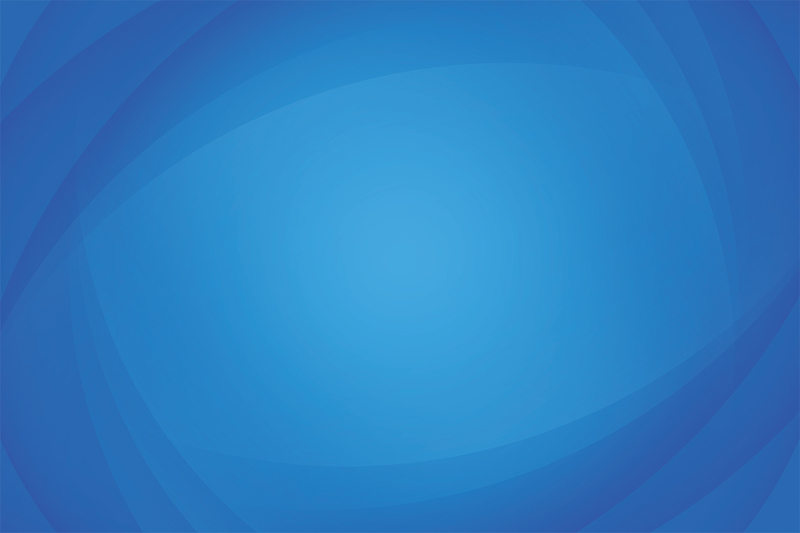 It was developed by clinicians, patients, caregivers, health system leaders, and payers. 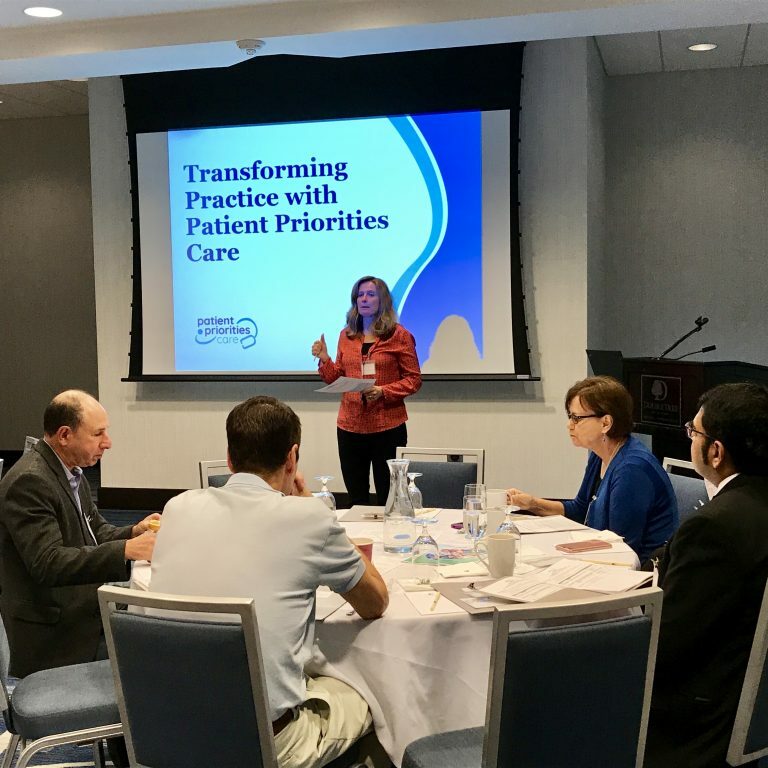 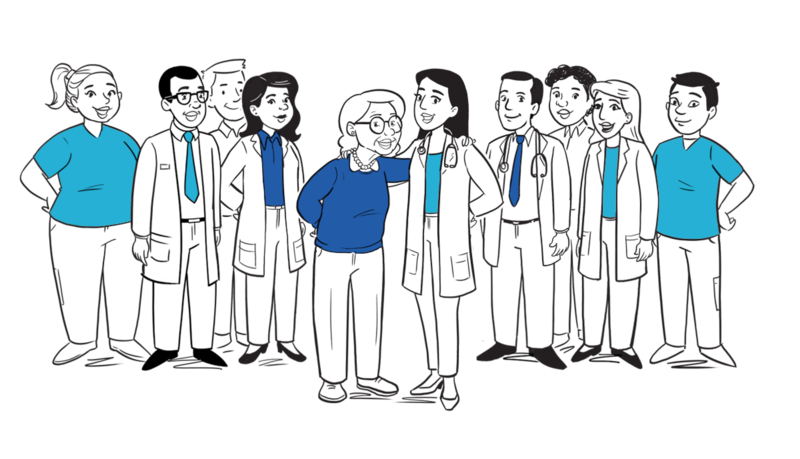 After completing the pilot study of Patient Priorities Care our team is now working in partnership with patients, caregivers, clinicians, professional societies, researchers and funders to create products and preparation materials, and adapt and spread this approach. 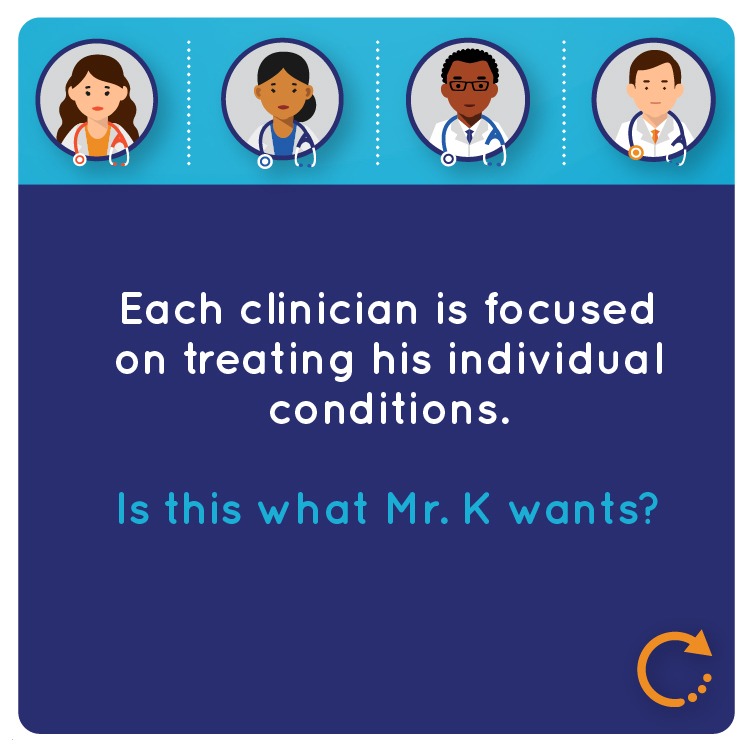 Learn how the Patient Priorities Care process works in practice through our whiteboard video, infographic, and stories from patients and clinicians who have incorporated this approach into their care.